Is it to cool to swim outside at night? So, you need to build indoor pool that allows you to swim all day and night, as long as you wish. Even you may add spa or hot water to keep warm. No matter how’s the weather outside, indoor pool will make you feel warm, cozy, and relax. A pool with limestone floor may become one of everyone dreams. This modern pool is design to get more relaxing time indoor. No one will disturb you. With gas and solar heated, you will feel like in a hotel spa. Wooden walls make this pool design seems eye-catching. The stone floor and perfect lighting will keep you feel warm and relax no matter how long you swim. This is a pool and spa to boost your mind and improve your healthy life. Allow natural light come into your indoor pool to make you healthier. The wooden deck reminds you about natural life. 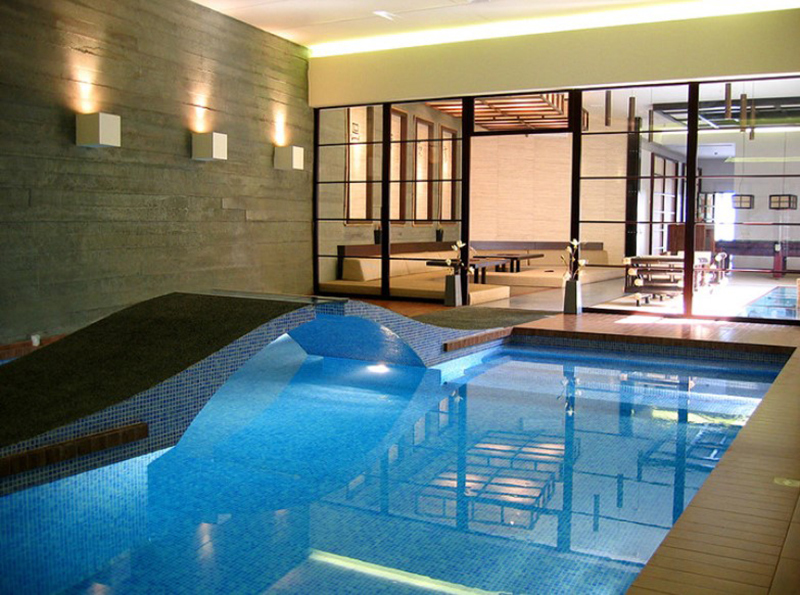 Enjoy every minutes of your time to swim at this beautiful indoor pool design. The fluid colors get accentuate with earthy color wall and floor. The strong point comes from blue tile that looks like Miami Beach. Furthermore, perfect lighting brings this pool into a dreamed pool ever. You need to have larger area to create this private indoor pool. Moreover, this is not only a pool but also relaxing area. Look at the green floor makes this room appears fresh with wooden wall and ceiling. Then, the green plant cleans the air very well. Water and fire in one room, why not? 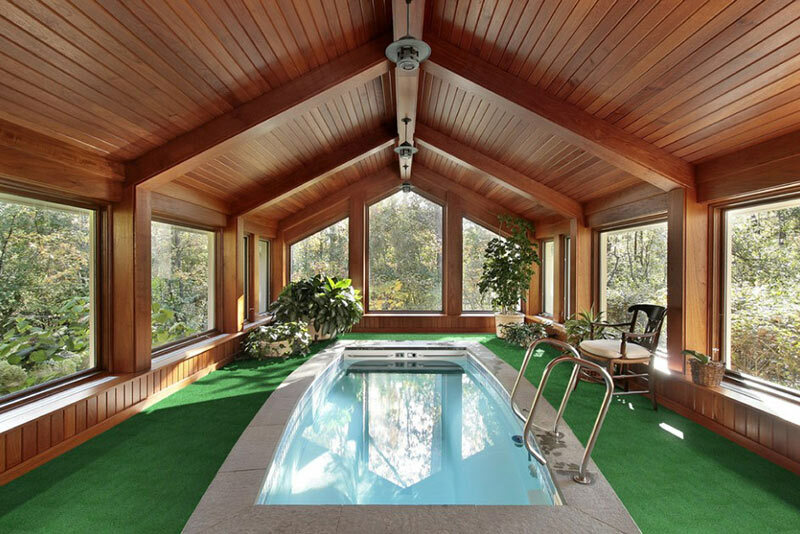 This adorable indoor pool shows you how to use both elements in one place. Indoor pool with fireplace in between that looks awesome. This will be the most favorite place to spend your leisure time. If you want to hold a party this weekend, you may use this indoor pool area. With bright color wall and wonderful ceiling design that shows natural sky beauty, your guest will enjoy every second here. Overall, this is incredible.